The Fellowship was fortunate enough to obtain a copy of THE DISCIPLINE #1 from Image Comics. Peter Milligan writes, Leandro Fernandez draws, Cris Peter colors, and Simon Bowland letters. Melissa is the young wife of a very successful, very absent husband. She has given up her career for him, and isn’t getting much in return. She meets Orlando in a museum, and she’s attracted by his intensity and his style. But he’s a bit inconsistent and she can’t tell what he’s after. When she finally figures it out, the danger turns out to be not from Orlando, but from something otherworldly. Many stories start out as one type and then become something else. Not many of them, however, are as well done as this one. This could have been a slightly odd romance story up until the last few pages, but then it turns supernatural, and things get interesting from there. Melissa is especially well done, both storywise and artistically; the two work together to make her a very real person. If the last page of this issue doesn’t make you desperate to know what will happen next, then maybe there’s something wrong with you. But seriously, check this book out. It will be worth it. 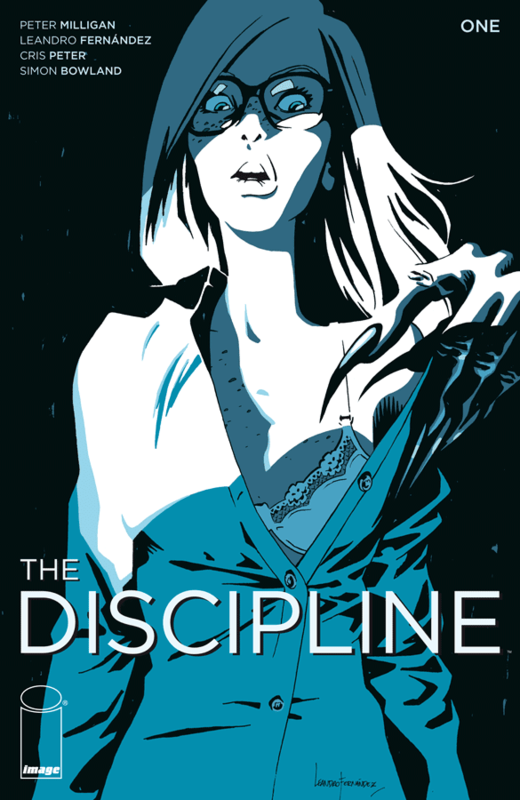 THE DISCIPLINE #1 is available now at your FLCS or at imagecomics.com.